This ultimate Mini-Bone Black Dog bed Cover is made up of lavish polycotton fabric. 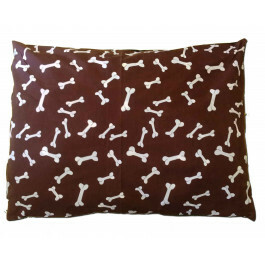 Its smooth and gentle fabric is very soft, snug and comfy to your pet's skin. 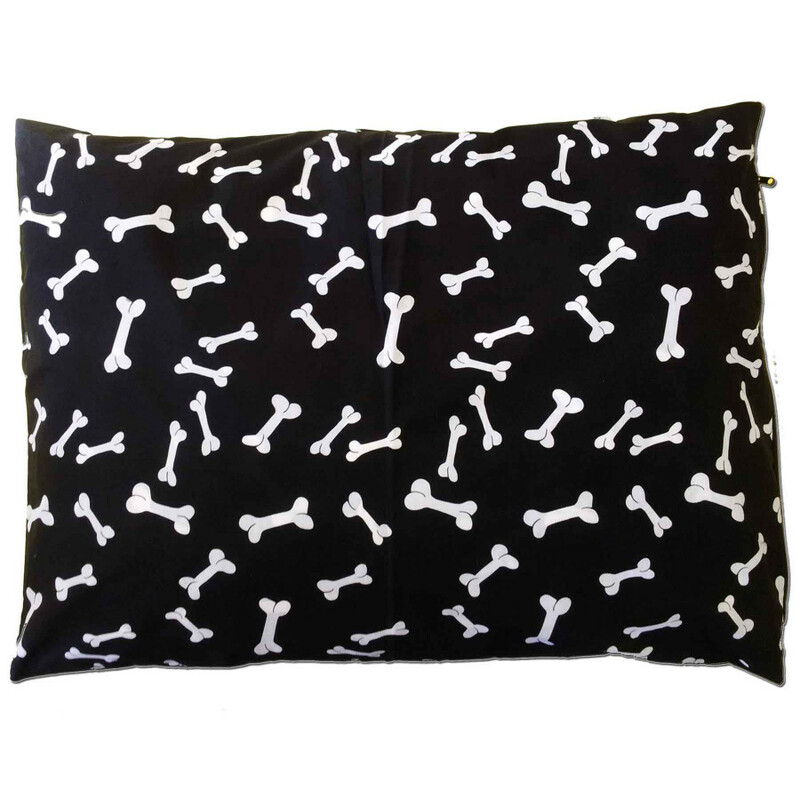 Our dog bed cover in magnificent black colour with contrasting white mini bones is very alluring and will surely grab the attention of your guests. Available in large and extra large size with handy zip, our dog bed cover is very durable and can be machine washed.